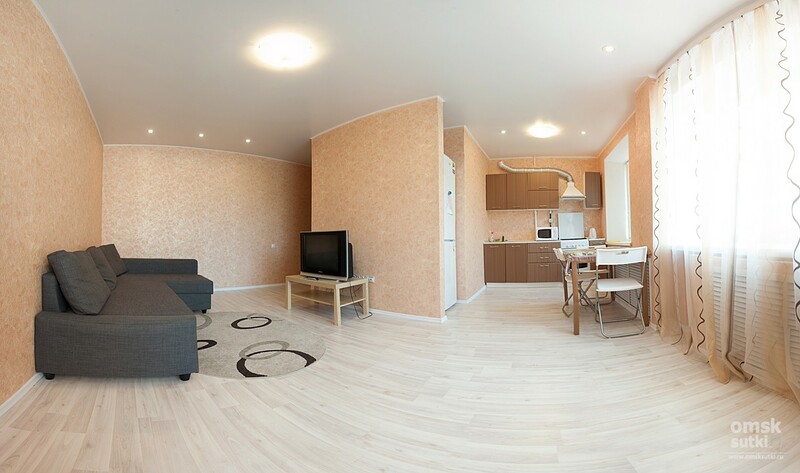 Leningradskaya Ploschad' 2 Bright and stylish interior of this two-room studio apartments for rent in the city center, is able to lift your mood and energize the whole day. 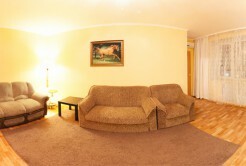 In the cozy living room you can relax, watch TV. Air conditioning. 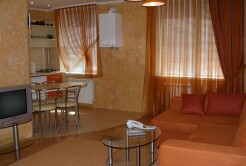 The built-in living room kitchen has all the necessary appliances and utensils, which is also very functional. In separate bedrooms our guests will appreciate the presence of a large and soft bed for a rest, and a spacious wardrobe for keeping the order of things from your wardrobe. 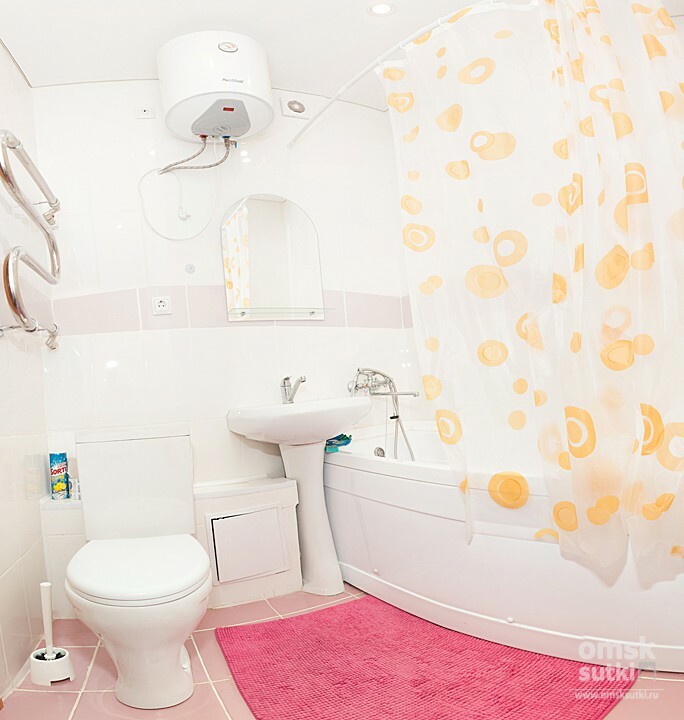 Bathroom shining purity. 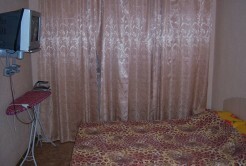 Development of adjacent infrastructure is a big advantage of this apartment for rent in Omsk.